According to reports in Spain, Chelsea are closing in on Brazil goalkeeper Alisson. Thibaut Courtois has a year left remaining on his Chelsea contract, it's looking likely that the Belgium shot-stopper might refuse to sign a new deal, if this happens, Chelsea could look to cash in the summer by selling their number one goalkeeper. 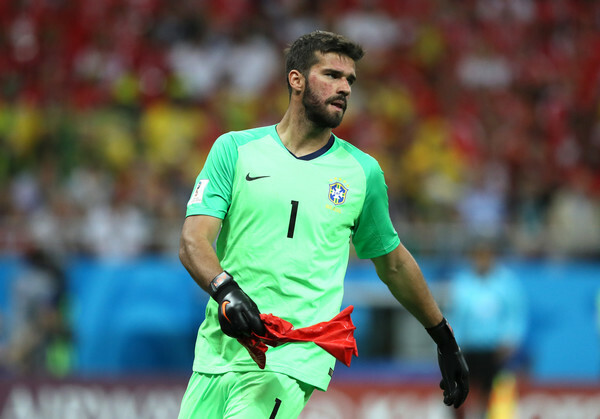 This would pave way for a new goalie to come in, Maca report that Alisson has emerged as one of their favorites as they are prepared to match is €70 million valuation. Real Madrid are also keen to sign the 25-year old this transfer window. Goalkeeper Alisson Becker is currently with Brazil squad at the Russia 2018 World Cup, Brazil will play Mexico on Monday, July 2nd in the round of 16.